Dr. Nicoletta Skoufalos is a psychologist in Midtown West, Manhattan. She specializes in chronic illness, women's mental health, couples counseling, anxiety, and depression. Her particular expertise is in helping clients manage autoimmune and other chronic medical conditions. She also enjoys supporting women in areas related to maternal mental health and eating disorders. 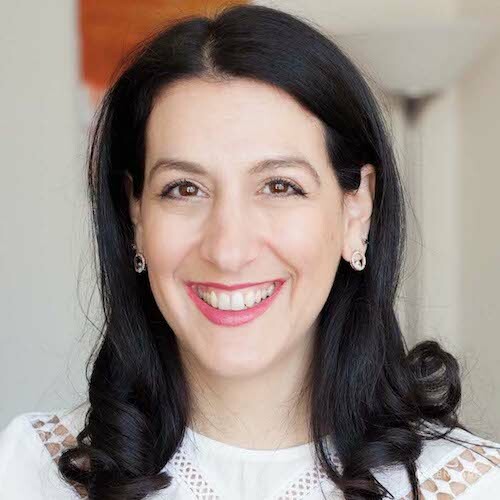 Dr. Nicoletta Skoufalos is a licensed psychologist in Midtown West specializing in chronic illnesses, women's counseling, and couples counseling. She received her Ph.D. in Clinical Psychology from Fordham University and completed her doctoral training at hospitals in New York City, including Lenox Hill Hospital and Long Island Jewish Hospital’s Eating Disorder’s Program. Dr. Skoufalos has particular specialty in autoimmune diseases and invisible illnesses, and helps clients manage the emotions of being diagnosed with a chronic medical condition that causes severe discomfort. These may include cancer, heart disease, gynecological concerns, and STDs, among others. She has given many talks about the psychological experiences of living with chronic illness and maintains a blog on this topic, which has readers around the globe. 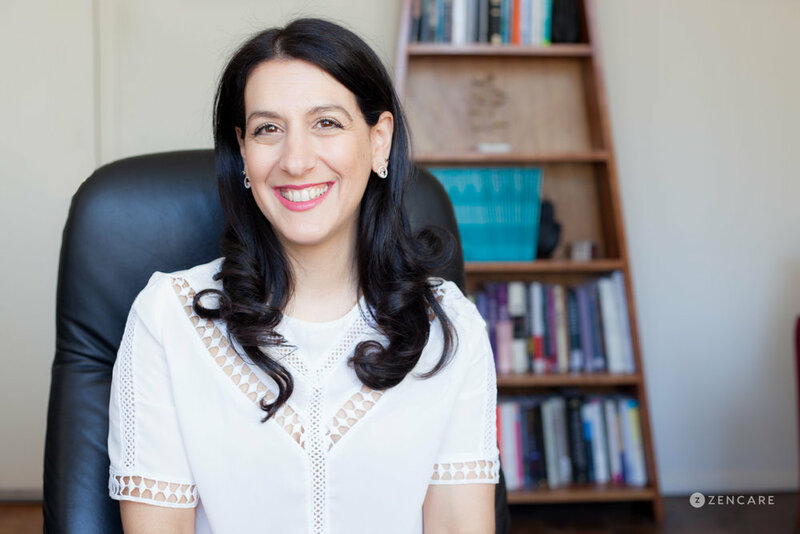 As a Greek-American woman from New York City, Dr. Skoufalos is also interested in the societal expectations of women, whether cultural, body image related, or professional. She is passionate about women's counseling, and has particular training and research experience in the areas of maternal mental health and eating disorders. She supports women in balancing work and family, managing postpartum stress, self-image and body issues, female sexuality, pregnancy, and workplace discrimination. Dr. Skoufalos believes in the power of the mind-body connection, and a person’s capacity to creatively adapt to the limitations that their illness has placed on them. She brings her bicultural understanding to support clients of all backgrounds and customize her approach to meet each client’s unique needs. Dr. Skoufalos is currently offering workshops and trainings for professional organizations and educational institutions on diversity/inclusion, parenting & care-taking, healthcare consulting, and mindfulness/stress reduction. Chronic illness – Managing the emotions of being diagnosed with a chronic medical condition that causes severe discomfort, including autoimmune diseases, cancer, heart disease, gynecological concerns, or an STD, among others. Dealing with worries about how your condition will affect your career, family, and relationships; distressing emotions related to managing the illness; and/or drastic changes in medication that have affected your work performance and personal relationships. Women's counseling – Issues that are unique to women, including balancing work and family, postpartum stress and depression, self-image and body issues, pregnancy, workplace discrimination, and female medical conditions that can cause overwhelming stress that can lead to prolonged worry and dread. Feeling guilty about not being at home with kids; dealing with sexist and misogynist comments from male coworkers who receive higher salaries for the same work; managing and processing anxiety, depression, guilt, and fear. Dr. Skoufalos is not in network with any insurances. Therapist's note: Dr. Skoufalos can provide you with paperwork for reimbursement from your insurance company if you are seeking out-of-network sessions. "Most people will experience major life events that can impact their mental and physical health. This can leave people feeling lost and unsure of themselves as a result. The good news is, you don't have to go it alone. In my practice, I take an active, integrative, and individually tailored approach, and work to create an environment that is safe and secure for you to explore your concerns and your goals. From my perspective, there is no cookie-cutter approach. I'd like to hear about your specific situation and your specific history in order to work with you to find the way that feels most comfortable to move forward."